Steenuilke is a unique blond beer with a distinct herby, and slightly grassy flavour revealing the perfect balance of the hops and the delicate essence and spicy touch of tree herbs. 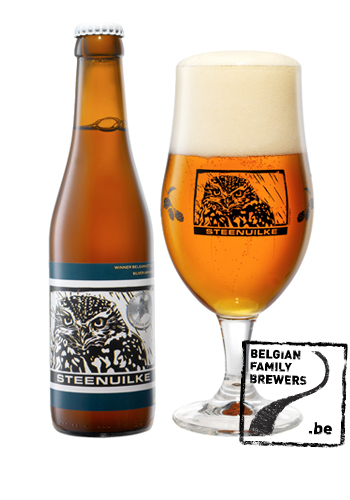 Steenuilke was launched in 2009 as a cooperation between brewery De Ryck and the regional landscape of the Flemish Ardennes (RLVA) to support the rural little owl (=steenuilke) project in the region. 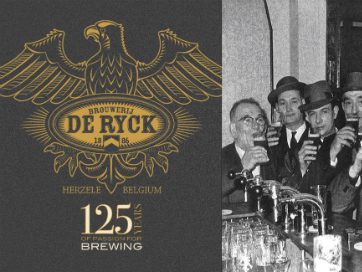 To emphasize the link with our region and the natural habitat of the little owl, 3 special herbs growing in the Flemish Ardennes ( sweet woodfuff, angelica and blackthorn) were selected and added to the brew. These add to the beer the specific and unique taste.